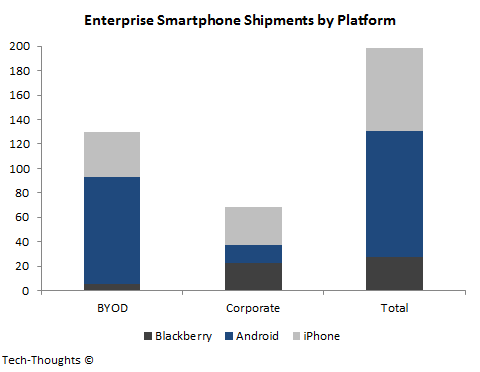 On the eve of RIM's Q3 results announcement, let's take a look at the enterprise smartphone market. According to IDC estimates, RIM's Blackberry devices are falling behind the iPhone and Android devices in the enterprise smartphone market. 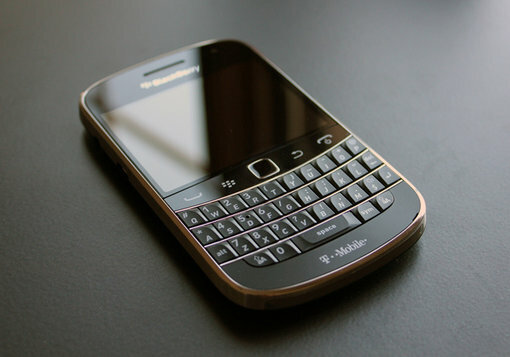 With their troubles in the consumer market, the enterprise market has long been a saving grace for RIM. This data should serve as a reality check for analysts who have turned bullish on RIM's prospects. According to IDC's data, this shift has primarily been driven by Android devices in the BYOD (consumer bought devices or Bring-your-Own-Device) segment and by the iPhone in the corporate (business bought devices) segment. IDC's data shows that the BYOD purchases roughly doubled corporate purchases in 2012. This should be very disturbing for RIM as corporate sales have always been RIM's strength, with 22.4 million shipments in 2011. However, in 2012, the iPhone actually passed RIM in corporate shipments with 31.1 million shipments. Android devices, meanwhile, saw a staggering 87.7 million shipments in the BYOD segment. 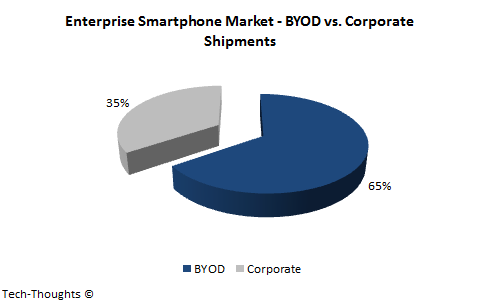 As the chart above shows, Android devices led in total smartphone shipments to enterprise users, on the back of strong performance in the BYOD segment. Even if we assume RIM maintained their 22.4 million corporate shipments from 2011, they trail Android and the iPhone by a wide margin. These figures clearly show that RIM is losing ground in the enterprise market as well. Going forward, Blackberry 10's incompatibility with the current Blackberry Enterprise Server (BES) should encourage even more customers to move to competing platforms (RIM's incentive program is unlikely to help mitigate the incompatibility issue). This leaves Blackberry 10's prospects in the consumer market as RIM's only shot at survival and the odds aren't in their favor. Rim is losing the smartphone market share due to their own mistakes and lack of innovation. Like Nokia did they need to understand the better opportunities in the market. If RIM is able to launch BB10 successfully in the market than they can survive otherwise there is no room for Blackberry in the smartphone world.